Wine and luxury go hand in hand, and when it comes to the world's best wineries, South Africa is ranked as a top location. The two oldest wine regions in South Africa - Constantia and Stellenbosch - are every wine connoisseur's idea of a heaven, and offer plenty to see. Stellenbosch, a university town and region with a rich Cape Dutch history, is home to the Cape Winelands. Constantia is located minutes from bustling Cape Town, and has a selection of the finest vineyards and mountain ranges. You won't be short of wineries to visit in these two regions. 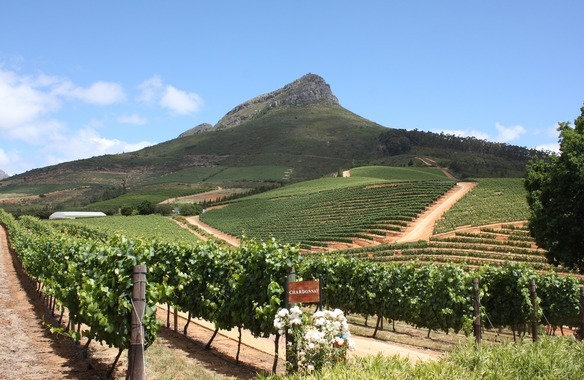 Stellenbosch is home to over 150 wineries, while Constantia hosts eight award-winning wine estates. This guide will explore some of the best wineries in the Constantia and Stellenbosch regions, along with a host of activities to enjoy whilst there - all factoring in the distance from our luxury villas in South Africa. The family owned vineyard of Beau Constantia is located in a scenic position, at the top of Constantia Nek. This boutique farm is well worth a visit, featuring beautiful surrounding scenery, views of the False Bay, a famous onsite restaurant and some of the finest wine blends in the country. The resident restaurant - For a completely different dining experience, you need to stop off at their onsite restaurant, the Chef Warehouse. Here they offer a seasonal and produce-driven menu, sourcing local ingredients to craft their dishes. You can't get much better than the Chef Warehouse's combination of beautiful Cape Town views and delicious food. They especially recommend their tapas for two, which allows diners to sample a selection of their finest meals - making sure you don't miss out on a thing. Lunch is served from 12pm-2pm and dinner, 5pm-8pm on Tuesday-Saturday. Sunday serves lunch only. For wine enthusiasts who enjoy a spot of sightseeing and a good stroll, there's plenty to do at this winery. Located on the north-facing slope of the Constantia Mountains, take a walk around and soak up the panoramic views of the region. After some exercise, the thought of wine becomes even more tempting. Take a seat in their wine-tasting room and learn about the wine's history, whilst soaking up the oceanic views as you sample a selection of their finest vintages. Beau Constantia is easily accessible from Villa Steenberg, situated only a 15 minute drive away. 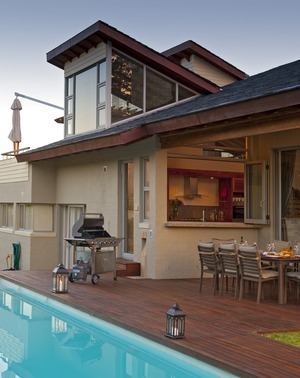 Villa Arabella, our other South African property, is a further hour and a half drive. Originally part of the Constantia Estate, the Buitenverwachting wine farm is located on the eastern slopes of Constantiaberg. Today, the farm has been lovingly restored to its former glory, with extensive planting resulting in a 100-tonne grape harvest. Their versatility - Visiting a vineyard is typically seen as an 'adult' experience. At Buitenverwachting however, there are plenty of activities for all ages. Younger guests are able to visit the restaurants and shop, all whilst relishing the stunning scenery. Onsite, there are two additional places to eat: the Buitenverwachting Restaurant and the Coffee BloC cafe. For dinner or a big lunch, the main restaurant serves up a fully-stocked fine dining menu, accompanied with a wine library to sample vintage wines as you dine. This restaurant takes you back to the farm's rustic roots, located in one of the old thatched roof buildings, and forms as part of the wine estate. If the authentic beauty leaves you wanting more, choose to dine on the terrace and you'll be faced with breathtaking views of the Constantiaberg mountain, and the courtyard with a Cape fish pond. For a quick coffee and cake or to enjoy a specialty breakfast before your wine session, The Coffee BloC cafe is another prime dining location. Buitenverwachting is one of the closest wineries to our property, Villa Steenberg, which is just a 10 minute drive away. From Villa Arabella, the winery can be reached in a drive of just under 2 hours. Established in 1682, the Cape's first farm has evolved far beyond its humble beginnings. Today, the farm has been transformed into a spa and hotel, with a selection of luxury onsite activities. The activities - There aren't many wine estates which offer a range of other activities onsite, let alone an estate with Cape Town on its doorstep. Steenburg however, has plenty of things to do for the entire family, whether you'd like to dine in style, visit the winery or relax in the spa. As an entire activity complex, you'll need a few days here to experience everything on offer. Wine tasting has to be the first thing on your list, however. Their wine tasting facilities are state of the art, with a wine tasting bar, tasting lounge and outdoor terrace. There's also infinity pools and water features outside, allowing you to sample the wine while basking in a calm atmosphere and the surrounding views of the Cape. For golfing enthusiasts, your first stop has to be the 18-hole championship golf course. The strategically designed course provides a stiff challenge, and requires no small amount of skill to come out on top. With natural features including its vineyards, pine forests and waterways, it's a course like no other. If you're looking for a brief escape from the busy activities, try their onsite spa. You can receive a range of different treatments by leading therapists, helping you to truly unwind after an afternoon of wine tasting. The estate also hosts events, and is home to several restaurants and a wine shop. It may go without saying, but few wineries are as close to Villa Steenberg as the Steenberg Farm Hotel & Spa, located under a 5 minute drive away. Villa Arabella is a little further afield, situated around an hour and a half's drive away. Home to producing cool-climate wines, Constantia Glen is a boutique wine estate located below Constantia Nek and a short distance from Cape Town's centre. Their unique location - A key growing location, makes for the very best wine. Situated between the Constantiaberg and Table Mountain, this vineyard is in the perfect position for exposure to late afternoon sun, an ideal spot for slow ripening vines . Combine this with the dominant soil types, decomposed granite and Table Mountain sandstone, and you'll have specialty crafted wines with minerality and character. This boutique estate offers a series of unique and charming wine tasting experiences, with a variety of wine selections on offer. You're able to accompany the tastings with a range of food options; enjoy everything from salads to pizzas and a selection of cheese platters. Early risers can also count on the breakfast option, serving up croissants and smoked trout until noon. Prefer something sweeter? Choose the wine and chocolate pairing wine tasting session, and enjoy a selection of wines with a mouth-watering dessert. Wine tasting is open from 10am-6pm Sunday-Thursday, and 10am-8pm on Friday and Sundays. Located under a 15 minute drive from Villa Steenburg, you'll be able to take your time with an early morning wine tasting session. For residents of Villa Arabella, the drive is a touch longer, coming in under the two hour mark. The Eagle's Nest exotic name fits in nicely with the vineyards natural charm. Set high above the slopes of the historic Constantia mountain range, Eagle's Nest was purchased by the Mylrea family in 1984. After a series of unfortunate fires in 2000, the entire wine farm was re-planted with cultivars of grape that best suited its unique location. Eagle conservation - The name of the estate was chosen for more than just its quaint character. The cliffs above it are named Eagle's Nest after a local legend, which tells of a breeding pair of eagles that used to live there. Eagle's Nest supports the Western Cape Raptor Research Program, and their aim to conserve the last remaining nest, located above the farm. They help to monitor the nest and provide assistance with other important conservation activities, including a future plan to install a viewing platform for birdwatchers. Eagle's Nest is determined to fund the Table Mountain National Park's environmental impact studies, and future projects including installing webcams to monitor the nest. The natural charm continues with the activities in store. Eagle's Nest vineyards are maintained by hand throughout the year, and mainly planted with Shiraz, Merlot and Viognier. In the tasting room, you can test out these specialty varieties, and learn why they were most suited to the unique terroir. The wine tasting can also be accompanied with a food platter, either inside the tasting room or outside on the lawn. Wine tasting is opened from Monday-Sunday, between 10am-4.30pm. 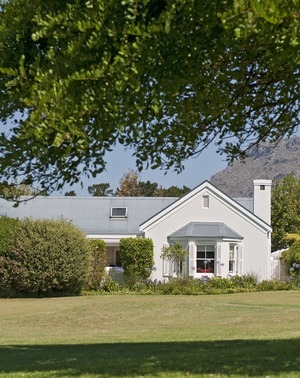 From our property, Villa Steenberg, Eagle's Nest is in a convenient location, sitting just a 15 minute drive away. Villa Arabella is further out, at around an hour and a half away. Dating back to the 1700s and classed as one of the top wineries in Stellenbosch, Jordan Wine Estate is a must-see on your wine tour. The winery is still in working order today, making world-class wines of all varieties across its 164 hectares of land. The unique backstory - Any family owned business has its quirks, and this winery is no different. Purchased back in 1983 by a married couple, the winery soon embarked on a mass replanting programme, specialising in different wine varieties suited to the diverse soil and slopes. When it comes to what to see on Jordan's vineyard, the panoramic views are top of the list. From the vineyard, you'll be able to see the Table Mountain, False Bay and surrounding views of Stellenbosch. The vineyard offers a selection of different wine tasting sessions and tours for every wine expert. Whether you're on a short trip to simply try the wines, or would prefer a tasting session and behind the scene look at the cellars and vineyards, you'll have plenty of options. The best tour is arguably their 'Exclusive vineyard and cellar experience'. You'll have the opportunity to tour the vineyards in an open-top Land Rover, with stops to see views of the False and Table Bays, as well as the Cape Winelands. Guests will learn about the geology of the estate whilst tasting the vineyard's own wines, and end on a cellar tour with additional wine tasting. To make your vineyard experience even more private, embark on their 'Private evening wine drive' tour. It's similar to the other tour, but takes place during sunset, and includes a bottle of one of their finest wines. The estate is open for tasting and tours from Monday-Sunday between 9.30am-4.30pm. During winter (2nd November to the end of February), they're open until 6.30pm on Thursday, Friday and Saturday. For the special tours, you will need to book in advance. The journey from Villa Steenburg is further than other wineries, but the sub 60 minute drive to Jordan Wine Estate is well worth it. Villa Arabella is located slightly further away, at around an hour and 15 minute drive. In the heart of Stellenbosch Winelands lies the hidden gem of Kleine Zalze Wine Estate. This wine estate provides a beguiling atmosphere for fine dining, luxury wine, classical Cape Dutch architecture and the ultimate vineyard experience. The key location - Coastal locations not only are the perfect spot to sample a glass of wine, but the perfect place to craft unique tasting blends. This winery is situated 15 kilometres from the coast, and the cool ocean breeze and climate aid the winery in crafting delicate flavours.The breeze also optimises the growing and ripening conditions of the fruit in their vineyards. The Kleine Zalze estate crafts some of the most unique wines, and on your visit, their tasting sessions are a must-see. The wine tasting sessions take place at the Cellardoor, located next to the winery, in an informative and relaxed setting. You'll learn all about the lush vineyards and the varieties of wine on offer, while experiencing beautiful mountain views during the session. Sessions are open Monday-Saturday from 9am-6pm and Sunday, 11am-6m. Wine-tasting sessions tend to work up an appetite, so your next port of call is likely to be Terrior, their onsite restaurant. Terrior opened in 2004 and has put Stellenbosch on the culinary map, becoming one of the top gourmet destinations in the Cape Winelands. The cuisine by head chef Michael Broughton varies hugely, with his 'deceptively simple' approach to food paying dividends. You'll dine in style, and accompany a delicious meal with one of the winery's suited wines. The Kleine Zalze Wine Estate is located within an hour drive of both of our South African luxury villas, Villa Arabella and Villa Steenburg. Resting snugly against the Helderberg mountains in the heart of Stellenbosch winelands, the exclusive Peter Falke Wine Estate dates all the way back to the 18th century. Family owned business - A family business is always run with heart and soul, and that's exactly the atmosphere of Peter Falke's wine estate. Peter Falke was born in Germany and his family have been doing business in South Africa since 1969. When he acquired Groenvlei Farm in 1995, his dream came true and the wine estate development began. Peter's wife Danièle, a top interior designer used her expertise to craft the finest details of the Groenvlei farm, which today invites visitors to experience an unforgettable wine adventure. Peter aimed to focus on the wine growing process rather than the production by hand-picking the grapes from the vineyards to create different blends. At his quaint tasting room, you'll discover these finely produced wines, and can sample them at your pleasure. If you work up an appetites, food is also available. Accompany the wine with a cheese platter or delicious meal - there's even the option to sample the wines as the sun goes down. Whether you'd prefer to sit inside, or enjoy an alfresco wine experience with beautiful views - the choice is entirely yours. The tasting room is open on Tuesday-Sunday, from 11am-7pm. Peter Falke Wine Estate is located under an hour drive from both our South African villas, Villa Arabella and Villa Steenburg. DeMorgenzon Wine Estate has an extraordinary appeal, with its slopes rising 200-400m above sea level and the surrounding scenic views. The land was established in the 1600s, and in 2003 the current owners bought DeMorgenzon, transforming it into a 224 acre vineyard. Its nickname - You don't get many wineries with a beautiful nickname and that's what makes DeMorgenzon so unique. The winery is the first part of the Stellenboschkloof Valley to see the sun because of its high altitude - hence the nickname, 'The Morning Sun'. Vineyard tours are a little different at DeMorgenzon. They believe Baroque music helps with the vines ripening process and as you stroll through the vineyards, you'll hear it playing 24/7. Listen to the music, learn about the history and sample the finest wines crafted at the estate from the tasting room. This tasting area is private and personal for families or a group of friends, and is open Monday-Sunday, from 10am-5pm. This wine estate is a little further than those previous mentioned, and is roughly an hour drive from both of our South African villas, Villa Steenburg and Villa Arabella.